Welcome to Smith Family Bookstore! 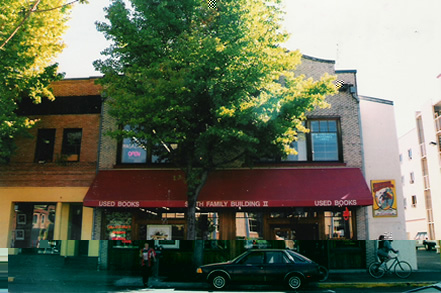 Smith Family Bookstore, one of Eugene’s oldest independent bookstores, has been buying and selling used books for 35 years. Our business is simple: we buy a lot of good books and sell them for fair prices. Our two stores are big and well organized, and because we buy so many books every day, the inventory is always changing and growing. We remain committed to running interesting, profitable local bookstores that serve the diverse readers in this community. Good novels… history… children’s books… spirituality… health… literary theory… travel… whatever subject you read, we probably have a section of books for you to browse.